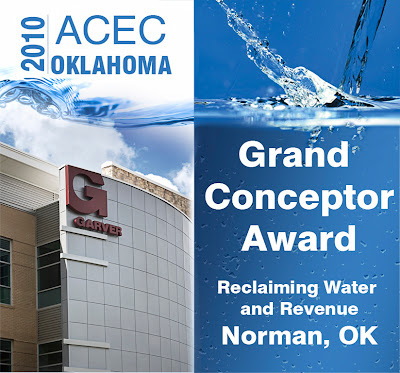 For the second consecutive year, ACEC Oklahoma awarded its Grand Conceptor Award to Garver. 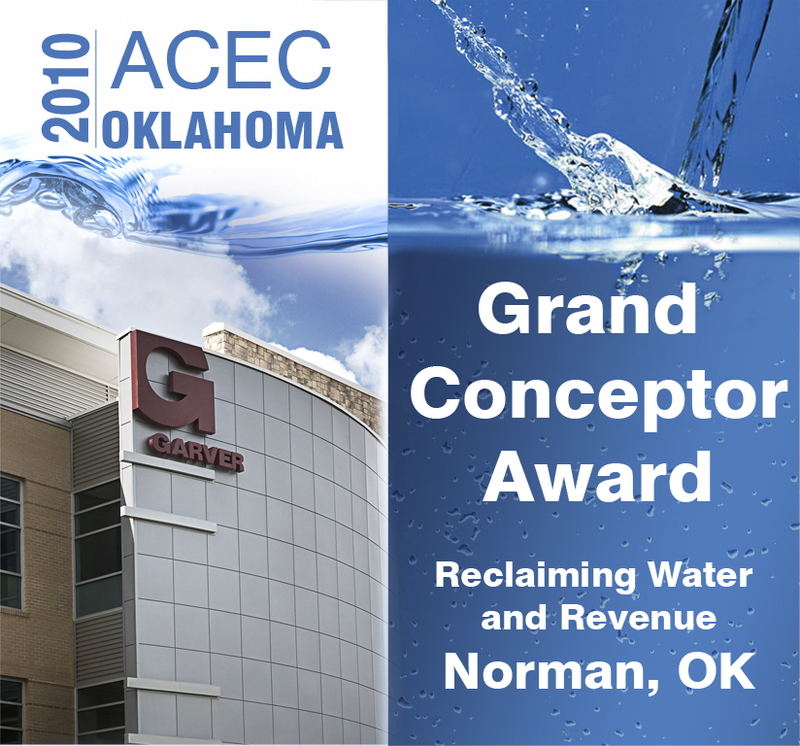 At its annual Engineering Excellence Awards Program, ACEC Oklahoma presented Garver with its highest award for helping the City of Norman reclaim water and revenue. Garver assisted the city implement an advanced arsenic-treatment technology that is reclaiming abandoned city wells due to high arsenic levels. Garver provided management, engineering, regulatory assistance, and system start-up to pilot a wellhead arsenic removal system. Throughout the yearlong demonstration, the adsorption system successfully removed arsenic and provided cost-effective product drinking water with arsenic levels safely below maximum contaminant levels. As an added bonus, nearly 75 million gallons of drinking water were produced during the demonstration and generated revenue for the city. This project will now compete in the National ACEC Engineering Excellence Awards competition in April. Last year, Garver's parallel taxiway realignment project at Ada Municipal Airport won the ACEC Oklahoma Grand Conceptor Award. Garver also won an ACEC Oklahoma Engineering Excellence Honor Award for wastewater treatment plant improvements in the City of Mustang. The city was under a Department of Environmental Quality consent order to meet water quality targets and needed to upgrade its plant within a fiscally strapped budget. Garver designed the upgrade in two phases, separated the phases by 10 years, and utilized state and federal government funding sources to make the project a success.